This weekend, the cult Italian rock band Goblin are headlining the Supersonic festival in Birmingham, playing the final gig of the event at 11pm on Sunday 26 July. The band will be doing a Q & A on stage about their music with Electric Sheep Magazine‘s assistant editor Alex Fitch at 6.15pm. The name Goblin first appeared on the map in 1975, when the band recorded the soundtrack for Dario Argento’s film Profondo Rosso. This was the starting point for a decade-long, highly creative and widely influential collaboration between the eccentric filmmaker and Goblin, which turned the group into the aural signifier of Italian horror films of the 70s and 80s. They created soundtracks to such cult classics as Suspiria (1977) and Dawn of the Dead (Zombi, 1978). For more info about the Supersonic festival and how to buy tickets, visit the festival website at www.capsule.org.uk/supersonic. Monika Treut is an independent German filmmaker who has explored female and lesbian sexuality in her films since her debut feature, the controversial Seduction: The Cruel Woman, in 1985. She followed it up with the coming-out tale Virgin Machine in 1988. She turned to documentary in 1992 with Female Misbehavior, four portraits of ‘bad girls’ including Camille Paglia, and made the acclaimed Gendernauts in 1999, which portrayed a group of transgendered people in San Francisco. In 2001, Treut made Warrior of Light, a documentary on Yvonne Bezerra de Mello, an artist and human rights activist who works with slum children in Rio de Janeiro. In 2002, Treut travelled to Taiwan and became fascinated by the country. She made the documentary Tigerwomen Grow Wings about three generations of women, and recently returned to fiction with Ghosted, an unconventional love story between a German artist and a Taiwanese woman set between Hamburg and Taipei. Virginie Sélavy talked to Monika Treut during the London Lesbian and Gay Film Festival, where Ghosted has its UK premiere. On the 40th anniversary of the moon landings, Alex Fitch talks to two television pioneers who were inspired by the events of July 16, 1969. Alex Fitch talks to Gerry Anderson about how the space race and technological innovations of the 1960s inspired such shows as Supercar and Thunderbirds. Anderson also talks about his stint in the RAF as an aircraft controller, responding to the fashions in genre with Four Feathers Falls and Fireball XL5 and mixing animation styles in lesser known series such as Lavender Castle and The Secret Service. Sir Patrick Moore covered the events of the Apollo 11 mission live on TV and discusses the events of that day with Alex Fitch as well as the highlights of his six decades presenting The Sky at Night. To herald the arrival of London Gay Pride weekend, Virginie Sélavy talks to infamous experimental filmmaker Kenneth Anger about his career, from his ground-breaking Magick Lantern Cycle to his recent return to the medium after a 20-year break. To coincide with the release of updates of the Terminator franchise and Blood: The last Vampire, Alex Fitch talks to actress Linda Hamilton about her career, working with Arnold Schwarzenegger and becoming a feminist icon. Alex also talks to anime expert Helen McCarthy about the various incarnations of Blood: The Last Vampire, the Japanese version of Buffy which has moved from TV animation to manga, video games and now live action cinema. 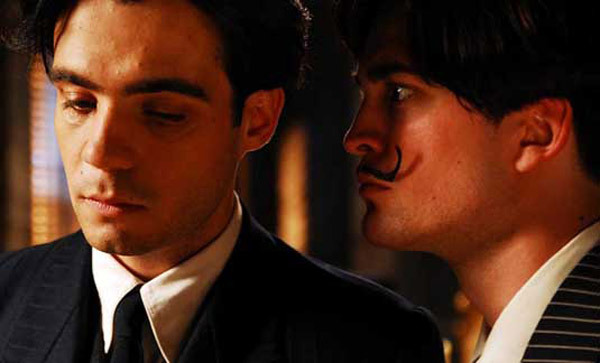 In Park Chan-wook’s extraordinary visual assault, a man is kidnapped and imprisoned for 15 years without knowing why. When he is finally released from this Kafka-esque nightmare, he is hell-bent on revenge and seeks to uncover his tormentor’s identity. What follows is a twisted cat and mouse game that takes the protagonist and the audience through extremes of emotion, exploring the dark energy of vengeance. Exhilarating, horrifying, blackly humorous and heart-wrenching in equal measure, this is an unmissable masterpiece of cinematic cruelty. 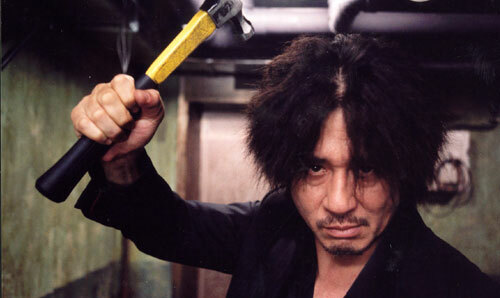 Oldboy was Park’s breakthrough movie in the UK, cementing his reputation as one of the most original and challenging directors currently making movies in the Far East.